With these beautiful tattoo tights, you can wear a different design on your legs every day without worrying about whether you will love it in 10 years time as you may do with the real thing. These tights designed by Stop & Stare hosiery are truly gorgeous with realistic retro tattoo designs hand painted on a sheer 20 denier premium quality Italian pantyhose base which have been tested to last as many as 9 days of wear in heels or up to 2 weeks in flat shoes. 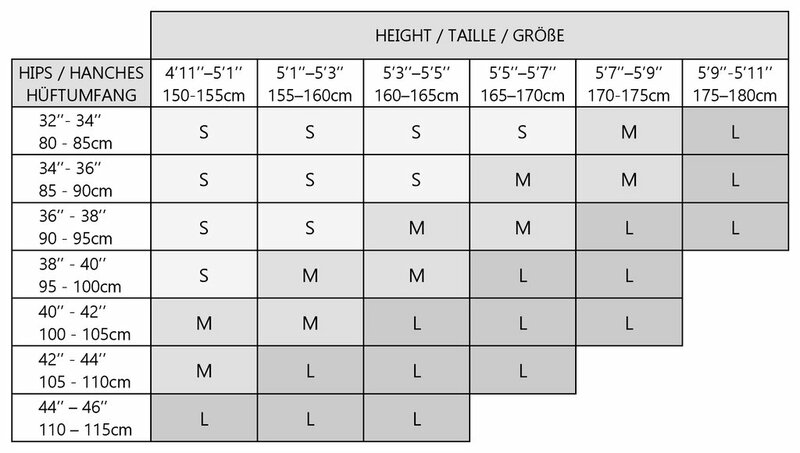 This is really quite remarkable for a pair of 20 den tights and displays the quality of the product. The tattoos themselves are reminiscent of a retro era as many were common styles inked on the arms of men back in the day such as serpents, roses, swallows, anchors and pinups . 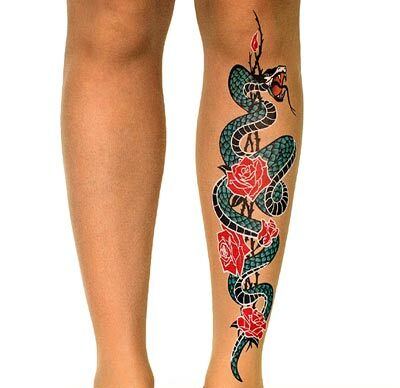 The serpent and the rose signifies Temptation, and we think these tights are definitely very tempting!